This breakfast is sweet, delicious , easy to make and also works as an afternoon snack. You can substitute olive oil for butter or coconut oil, if desired. 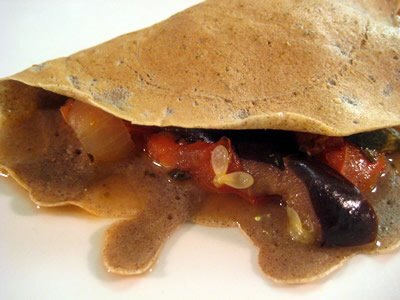 The crepes are usually well-received by kids who like sweets. If fruit salad is not your thing, consider filling the crepes with two-three sliced bananas and maybe a couple of tablespoons of nut butter. 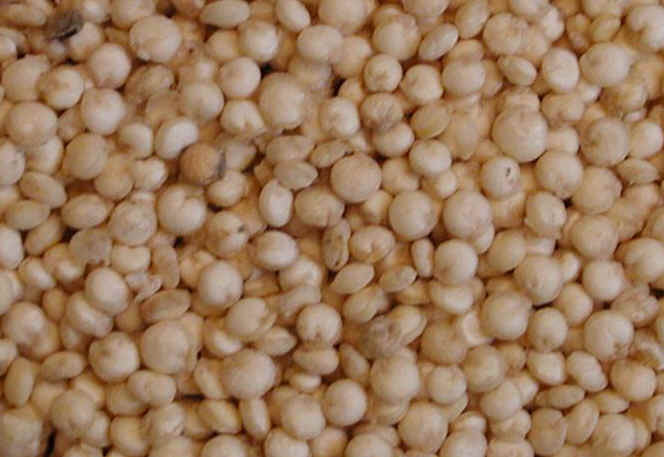 Buckwheat is a gluten-free grain, which is rich in iron, b-vitamins, calcium, protein and fiber. 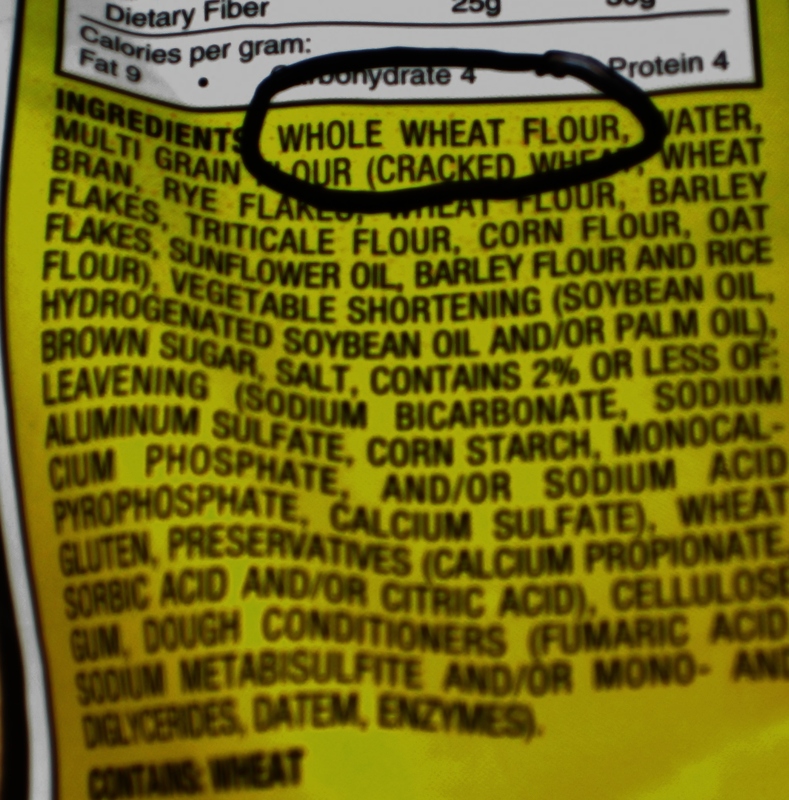 Buckwheat flour can be purchased in any health-food store. Whisk the water, he olive oil, and egg together and then mix in the dry ingredients. Set aside for 15-20 minutes. Heat a pan and melt some olive oil (or butter). Once the pan is heated, pour some batter in and rotate the pan to get the batter thin and smooth. Return the pan to heat for a couple of minutes until the top is hard. Flip the crepe over. Mix the fruits together and sprinkle the juice on top. Fill the crepes with the fruit salad and serve. Today, my friends and I were discussing avocados. Specifically, avocado smoothies. The best part about putting avocado in a smoothie is the smooth texture it provides and the light flavor it gives out, making it possible to mix avocado with stronger-flavored foods. I believe, avocado can be substituted even for ice cream in any milk shake recipe! It can also be substituted for frozen yogurt or regular yogurt, because of its texture. Avocado is a powerhouse of healthy nutrients. It is exceptionally high in soluble fiber, which has the ability to bind to fat and excess cholesterol. One cup of avocado has about 23% of FDA’s RDV for folate, a nutrient important for heart health and for healthy pregnancy. Avocado also contains “oleic acid”, a monounsaturated fatty acid, which may help lower cholesterol. 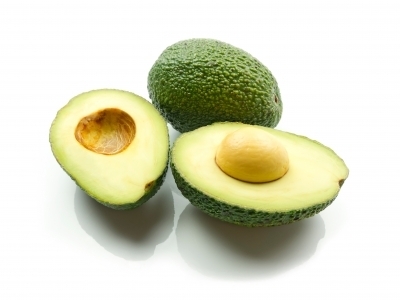 Avocado is a good source of potassium, a mineral that helps regulate blood pressure. Adequate intake of potassium can help protect against circulatory diseases, like high blood pressure, heart disease, or stroke. Avocado is also a very concentrated dietary source of the carotenoid lutein. 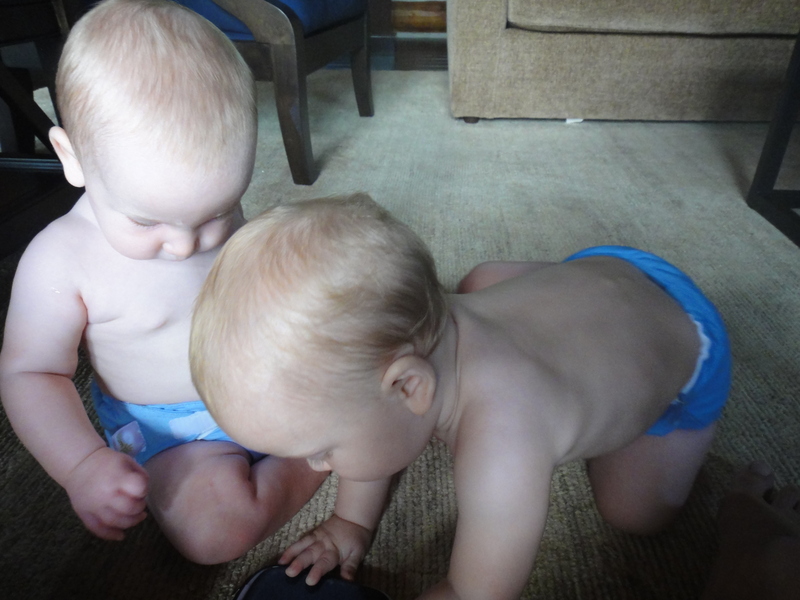 Addiitonally, it contains measurable amounts of other carotenoids and significant quantities of vitamin E.
My eight months-old twin babies are eating real food. Not the stuff that comes from jars and costs 99 cents per 1/4 cup-size portion. I am not a pediatrician, I am a mother and a nutritionist, so take my advice accordingly, but you’d be surprised how easy it is to feed your children healthy, nutritious whole foods from the time they are about 6 months old. Firstly, you need to change the way your family eats. I know, easier said than done. 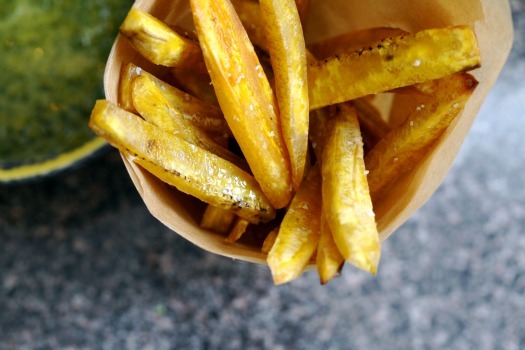 Keep in mind, whatever you eat is exactly what your kids are eventually going to end up eating, so the occassional pizza or the French fries, or the “hidden” chocolate bar or a gallon of ice cream: they will find it and eat it, no matter how hard you are trying to never take them to a fast food restaurant or feed them a raw diet of carrots and broccoli. So, the first step to the optimal baby nutrition is optimal family nutrition. Grains, veggies, some organic meats, fresh fruits, nuts and seeds…. You know, the real stuff. Not cheerios, pasta, bread pieces and weird baby snacks that cost $5 per handful. If you have an organic sweet potato lying around, think twice about buying the processed baby food jar full of sweet potatoes. First of all, one sweet potato yields about three-four jars of baby food. So, you are spending A LOT less. Second, you can make fresh food, instead of feeding your baby something canned, that could be three months old. Think of energy of that jarred food that’s eventually going to become your child’s thoughts. Would you personally eat all of your food from a jar? Than why do you think your baby likes it any more than you do? If you fear bacteria in homemade food, use boiling water in cleaning any utensils that have to do with baby food. Rinse produce with boiling water, as well. People have fed their babies homemade food for generations and humanity is still here. Jarred food is a relatively new invention and we don’t have enough long-term studies to see its consequences on human development. So far, my babies have tried: carrots, sweet potatoes, apples, bananas, broccoli, pears, butternut squash, cauliflower, cucumbers, avocado, quinoa and buckwheat. Some veggies have been cooked and some were given raw, to preserve naturally present enzymes. When I cook grains for us, I always leave a bit for the babies. I don’t buy the “special” baby hot cereals, because it’s a waste of money. I don’t feed my babies the empty-calorie rice cereal. Some foods need to be cooked and mashed and some things (like bananas or avocado) only need a fork and three seconds of your time to be made into nutritious baby foods. You don’t need a fancy food processor to mash up the baby foods: I have a 15$ small blender from my local pharmacy and it works just fine. I don’t spend a lot of time on ideas for baby dinners: I just take the foods we eat as a family and mash up a small portion of them for the babies. My babies also snack on unprocessed foods. The Cheerio-eating babies are an interesting modern phenomenon: why give your child processed food that costs a lot? Make buckwheat, put it on the tray in front of them and let them pick at it. Let them nibble on cucumber slices. Let them pick up and eat a banana. Let them pick up avocado slices. Blueberries work, too. A whole carrot or quartered apples are excellent for taking to restaurants, because they tend to occupy babies well, in addition to providing excellent nutrition. My children eat quartered apples daily from eight months old on. Giving your baby cooked pasta to pick at, is, essentially, giving your baby processed food. Try a chopped cooked carrot or some cooked broccoli florets, instead. Green peas are wonderful baby food, too. There is an interesting method of giving your baby fresh whole foods as their first solids. It’s called Baby-Led Weaning. I haven’t tried it, but heard many good things about it. For example, giving your baby a cooked whole carrot, instead of a pureed one, to get them accustomed to table foods faster, is a baby-led weaning technique. Another problem with commercially purchased purees is their texture. It is way too smooth. Babies generally don’t choke if there is a tiny bit of texture in their food. They do choke if you jam too much of it in their mouths. I am all for chopping fruits finely with a knife, instead of fruit purees, once the baby is past the first “intro to solids” page. Babies used to texture of raw foods, don’t cringe at salads later. I am also for natural food combining. If you look at baby food jars at your local supermarket, everything is made to be sweet. Combos, such as green beans with apples are normal in jarred food world. Would you eat green beans with apples at your family’s table? Unlikely. Babies tend to do better as far as not becoming picky eaters, when they are introduced to non-sweet solids first. 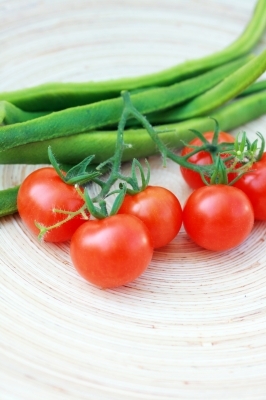 Broccoli, cauliflower, green beans : these foods are all great as first solids. Then, trying to stuff your baby full of banana would be a piece of cake. Eventually, as your family gathers up for a healthy dinner, your baby will be a welcome participant, as he or she would have some of your mashed up grains, veggies, meats or casseroles. Your baby would be part of your family and not an alien, requiring a whole cupboard full of weird food that costs a lot. 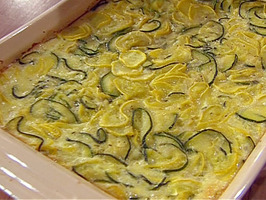 As a busy mother, I know nothing beats a good casserole when it comes down to a quick and delicious family dinner. This casserole is very easy and is excellent for utilizing leftovers. The vegetables I chose to use this time are more suggestions than musts. Green beans work well, cauliflower is fine corn is delicious and sweet potatoes taste great! Furthermore, you can take any other grain you fancy and use it instead of quinoa, making this casserole into a completely different dish altogether! I am a big fan of millet for this dish, but I also love brown rice. I sometimes use garbanzo beans instead of the multi-colored ones. I usually serve this casserole with a nice salad of arugula, cucumbers, carrots, celery, avocado and pumpkin seeds with a bit of extra virgin olive oil on top. Go to the kitchen and begin experimenting! Preheat oven to 375 degrees. In a large bowl, mix all chopped vegetables, (except for tomatoes) beans, garlic olive oil and spices. In a casserole dish, put the quinoa on the bottom and the vegetable mix on top. Put tomatoes on top. Sprinkle with cheese. Bake for about 45 minutes. Today, I was making some butternut squash puree for my babies ( they have tried broccoli, cauliflower, sweet potato, carrot, apple, cucumber, banana, avocado, quinoa, buckwheat and butternut squash so far.) Then, I realized I had way too much leftover squash. In a case like this, I usually make a soup, but today I was craving something cold, so I made a smoothie instead. A pretty great one, I might add. 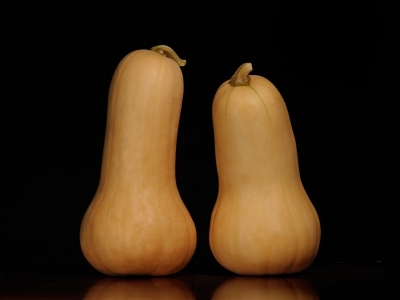 Butternut squash is rich in Vitamins A and C; and minerals, such as potassium and manganese. It is also rich in fiber. Butternut squash is good for blood sugar regulation and prevention of type 2 diabetes. The B-vitamin like compound d-chiro-inositol-a has been connected to blood sugar stabilization by multiple studies. Blood sugar regulation is also associated with other B-complex vitamins, and squash provides a good amount of five B-complex vitamins, such as B1, B3, B6, pantothenic acid, and folate. Put the squash in a pot, cover with water, so there is about 1 inch of water over the squash. Bring to a boil and simmer for about 7 minutes, or until the squash gets soft (test with a fork.) Cool the squash in the refrigerator ( or freezer, if in a hurry.) Blend the squash with all other ingredients.